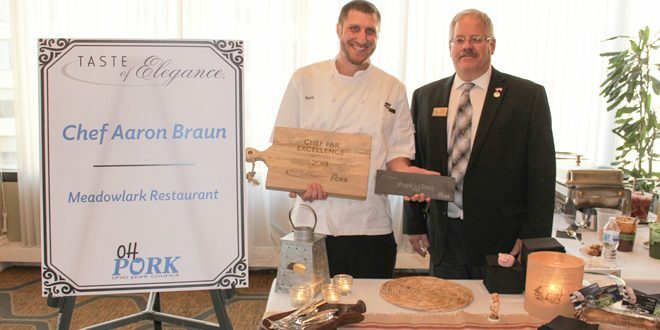 Chef Aaron Braun, Meadowlark Restaurant, took top honors at the Ohio Pork Council’s Taste of Elegance Chef Competition and Legislative Reception, earning the coveted Chef Par Excellence award. Braun was also awarded the People’s Choice award for the second consecutive year. Chef Broc Baltes, Mercy Health, was named Superior Chef, while Chef Tom Tiner, AVI Foodsystems, was selected as Premier Chef. This year, each of the three chefs prepared an appetizer and entrée featuring pork. Judging the event were Connie Surber, past OPC Board Member and longtime supporter of Ohio’s pork industry; Chef Todd McDunn, Resident Director of Food Services, Scotts Miracle-Gro Campus and five-time Taste of Elegance winner; and Greg Lestini, Attorney, Bricker and Eckler. A signature tradition of Taste of Elegance, guests received white gloves and a bone-in pork chop to begin the evening. After sampling assorted flavors of bacon, cheeses and appetizers, they were invited to taste samples from each of the chefs’ menus. Additionally, a selection of Ohio wines was offered by the Ohio Grape Industries while the Ohio Farm Bureau’s Cover Crop Beer was also served. 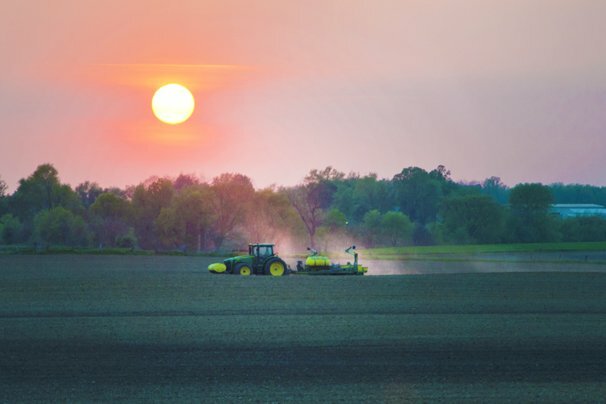 The evening provides a unique opportunity for Ohio farmers to mingle with chefs who have prepared the fruit of their efforts — pork — in unique and exciting ways. 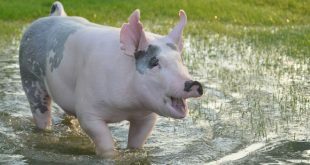 Although many farmers have spent their lives raising pigs, few have had the opportunity to dine on what may be considered culinary delicacies. Pork chops, as well as the pork used by each of the chefs, were donated by J.H. Routh Packing Company in Sandusky, Ohio. Event sponsors included the Ohio Pork Council, Farm Credit Mid-America, J.H. 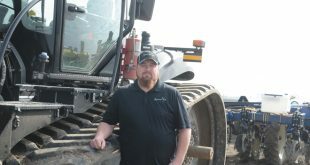 Routh Packing Company, Ohio Farm Bureau Federation, Ohio Grape Industries, Ohio Soybean Council, PIC and United Producers, Inc.